It is highly recommended that you read Book 1 of the series, Huntress Moon, first. 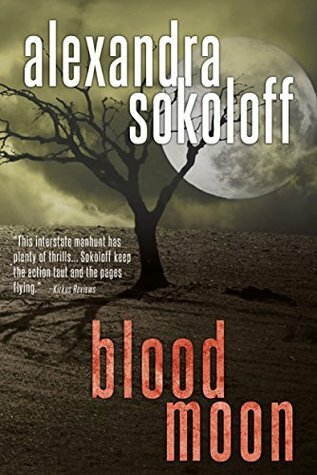 This is the second book in the series titled Blood Moon. Agent Roarke is still looking for the reaper who he believes has come back and started killing again. He has his team search data bases on crimes with a 25 year sentence and then when they would be paroled. This takes many days but with the help of computers it does goes faster. He also is dealing with more stress from his team and from his boss who feel that he is not doing all he can in the search and finding Cara Lindstrom who is also killing but for different reasons and is the reapers only survivor for her families attack from years ago when she was 5. Now Roarke is against two but he feels a connection with Cara and she feels one with him and this comes to help him and the end of the book. This is a very good and intense story with a lot of mystery and suspense which adds to the story and the ending. A very good book. I got this book from net galley. I give this 4 stars.